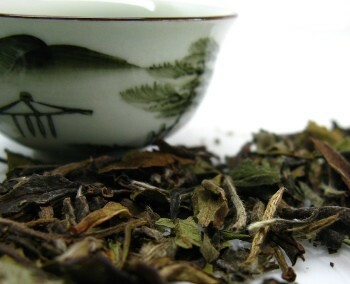 White Peony Tea is one of the most famous Chinese white teas. Noted for its floral aroma, it is considered a high grade tea. What sets this tea apart? 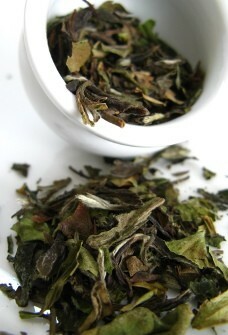 This beautiful tea is made up of the young tea bud, still covered in silvery down, and the next two leaves on the stem. This tea goes through a careful process that gives it a unique refreshing and fruity flavor. And as a white tea it has enormous health benefit potential. 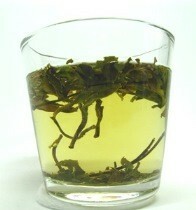 and have a cup of flowery white tea! This white tea was first produced in the Chinese Fuding and Zhenghe counties in the Fujian Province and it is the second finest white, only after Silver Needle Tea. It is also known as Bai Mu Dan or Pai Mu Tan, which basically means “white peony” in Chinese. This tea is made from a single bud and two leaves, which gently unfold in your tea pot, resembling the petals of a peony blossom, hence its name. 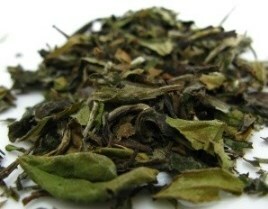 Like other teas, this tea also comes from the tea plant camellia sinensis. It comes from two specific tea bushes called Da Bai (Large White) and Narcissus tea bush. In China, the highest grades of Bai Mu Dan offer you leaves covered with a fine, silvery white down, a sweet taste and a light color. High grades tend to be hard to find, but lower grades are likely to be more common, offering you a nutty and smoky flavor, as well as having a darker color when infused. So if you happen to come across a higher grade, do not miss the opportunity to taste it. What makes a great White Peony tea is its processing method, a careful set of steps that ensure that this tea undergoes as little oxidation as possible and is kept as natural as possible. The tea bud and next two tea leaves are plucked in early spring, before fully opened. The leaves retain a light green-gray color due to the feathery down that covers them. The young leaves are carefully handpicked so that they suffer minimal crushing as it is when the tissue cells break that oxidation occurs and white tea stops being white tea. Then they are simply withered, for about 1 to 3 days in the sun, which is quite long considering that weather conditions have to be just right throughout the whole period. 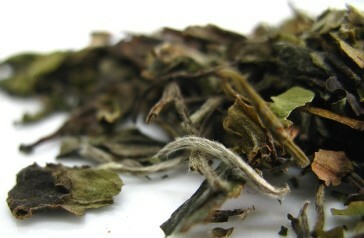 After withering the tea leaves are piled for a very short period of time for minimal oxidation. This is so residual, that white tea is considered generally unoxidized. The final stage of processing before packaging is a careful selection of the tea leaves to be bake dried, resulting in a full bodied tea with greater potency. Take a look at the processing tea page to understand more about how teas are created. Let’s have a look at the Bai Mu Dan tea benefits and find out how this tea can help you. Being one of the least processed teas, it means that this tea contains a high amount of polyphenols making it a great ally to fight viruses, bacteria and other agents that may harm you. This is a tea that contains a high level of antioxidants, which naturally help strengthen your immune system. This means bacteria and viruses may have a smaller chance of getting in or surviving in your body. It may also reduce your recovery time when you do get sick. As this tea goes well with honeyed flavor, add a teaspoon of honey when treating a cold or flu. It will help you feel better. A good white tea like this also contains antioxidants that strengthen your whole circulatory system. It helps both to lower your blood pressure as well as reduce bad cholesterol levels. It helps to prevent blood clotting that can lead to heart problems and stroke. Remember to drink you White Peony unsweetened for a healthy heart. So you would like a coffee substitute but still feel the need for an energy boost? Try a daily cup of white tea as an alternative stimulant. This white tea contains a high level of caffeine, but unlike coffee it is released slowly into your bloodstream and has a longer lasting effect. At the same time is also contains theanine, a compound that accounts for the calming sensation that you feel when drinking this tea. If you suffer from heart disease, speak to your doctor about drinking this type of tea. This tea pairs well with a healthy lifestyle. 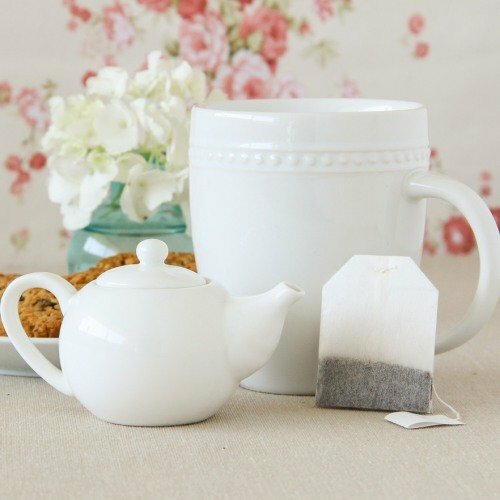 If you want to become stronger and lose weight, white peony tea may help you out. Its stimulating action will not only keep your mind alert, but it also stimulates your metabolism. A faster metabolism helps you to process food faster and get rid of unwanted fats and waste from your body. Take this tea unsweetened as a hydrating drink for your daily workout. Or pair it with your healthy diet, its floral sweet flavor will add value to the food you eat. Studies are starting to show that if you drink Bai Mu Dan tea on a regular basis, you may have stronger bones and reduce the risk of arthritis or osteoarthritis. The high level of antioxidants also reduces the risk of inflammation related with these diseases. This tea shares a lot of common ground with other white teas, so for more information on white teas in general, check out white tea health benefits. It’s a sip for a healthier life! Are you ready to try this wonderful white tea? The most common concern regarding tea is its caffeine content, so let’s take a look at how much caffeine there is in White Peony tea. Although there is a common belief that white tea has less caffeine than all other types of tea, this is not necessarily so. In the case of White Peony or Bai Mu Dan, this tea actually has a high level of caffeine, as much as 5%. White Peony has almost as much caffeine as Silver Needle tea. And this is because both teas are higher grade teas. Both contain silvery buds and young shoots where the tea bush concentrates caffeine as a means to repel insects. High levels of caffeine may put stress on your heart and may cause restlessness and insomnia. If you are sensitive to caffeine you may start having headaches. Even with high levels of theanine, the calming component that gives this tea a relaxing nature, its caffeine level may still be too high for pregnant women. Check with your doctor about drinking this tea if you are unsure of the effects of caffeine on you. A great white tea like this one requires just a moment of your time to brew it properly and soon you will be enjoying its wonderful flavor. So let’s learn how to make White Peony tea. Use a ceramic or glass teapot to make this tea. If you prefer to use an infuser, choose a teapot with a fitted large infuser so that the tea leaves have room to swirl and expand. As for teacups, the best ones are white or glass teacups so that you may observe the color of your tea. This advice applies to all teas: always use spring water. Tap water contains minerals and chlorine that will alter the taste of your tea. High quality tea demands good water. To start off, preheat your teapot by pouring hot water into it to maintain the heat of your tea when brewing. As you wait for your teapot to warm up, heat fresh water to make your tea. 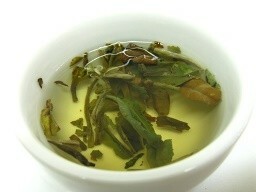 As this is a white tea, the leaves are more delicate and boiling water will ruin the flavor and the tea leaves. So aim for a temperature of about 75ºC to 80ºC (167ºF to 176ºF). This will give a less bitter tea and the tea leaves may be reinfused. 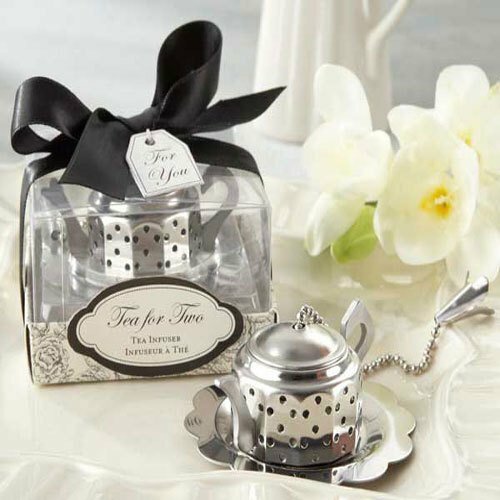 Pour out the heating water and place 1-2 teaspoons of loose leaf tea per cup into your teapot. You may add more tea if you later find this tea to be too weak for you. Pour water over the tea leaves into your teapot and let the white peony tea steep for about 2-3 minutes. For a second and third brew, you may need to add a minute to your brewing time. If you have a glass teapot take a look as the tea leaves open and dance around in the water. Pour the tea and see its beautiful pale yellow color fill your cups. Feel the wonderfully and characteristic floral scent of white peony tea. The honeyed fruity aroma of this tea makes it sweet enough that you don’t need to add any sugar to it. Best not add any milk either as the mild flavor of the tea will be overwhelmed. Now sit and enjoy an unforgettable cup of white tea full of character. 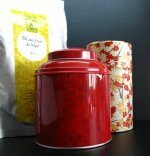 Buy Your White Peony / Bai Mu Dan Tea Today! Click on the image or on the link below to purchase from Art of Tea your White Peony Tea. Purchase a tea that is both refreshing and delicate in the mouth. No sweeteners are needed because it is already quite sweet. 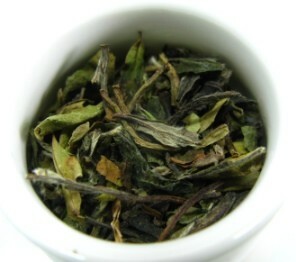 This white tea contains tea leaves and unopened young tea buds following a long tea tradition in China. Take a sip and enjoy a floral Chinese tea. This is the perfect introduction to white teas.